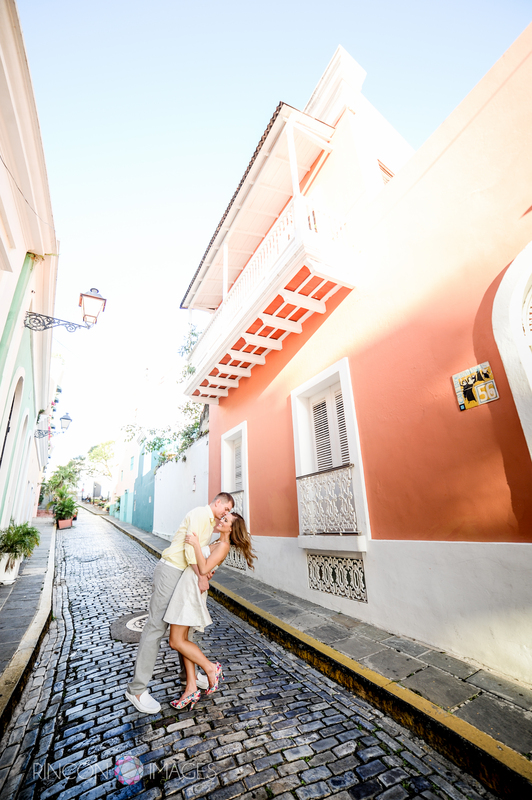 Jerod dips his bride to be on the romantic cobble stone streets of Viejo San Juan, Puerto Rico. When did you and your fiancé first meet? 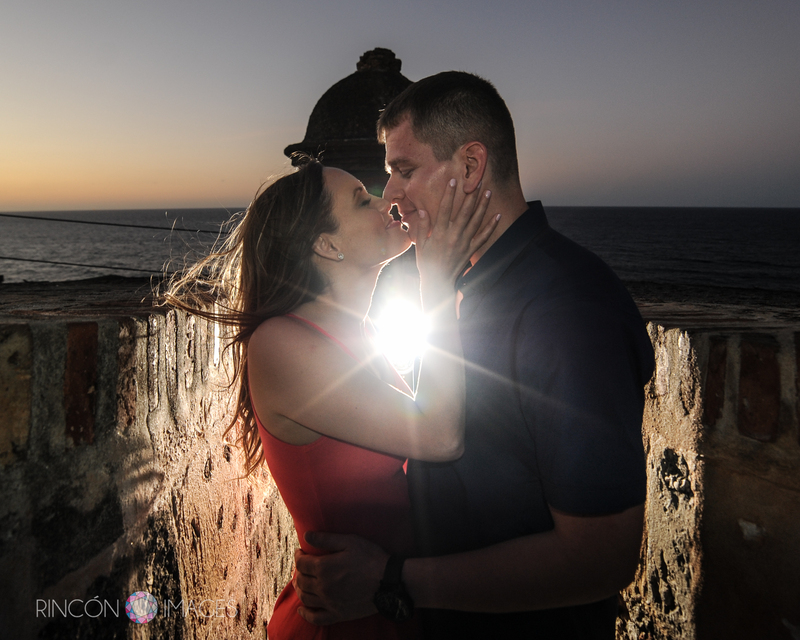 This couple had a blast during their Viejo San Juan photography session. I love using this particular street in San Juan, Puerto Rico to photograph wedding and engagement sessions, it has beautiful colored buildings and almost no cars. 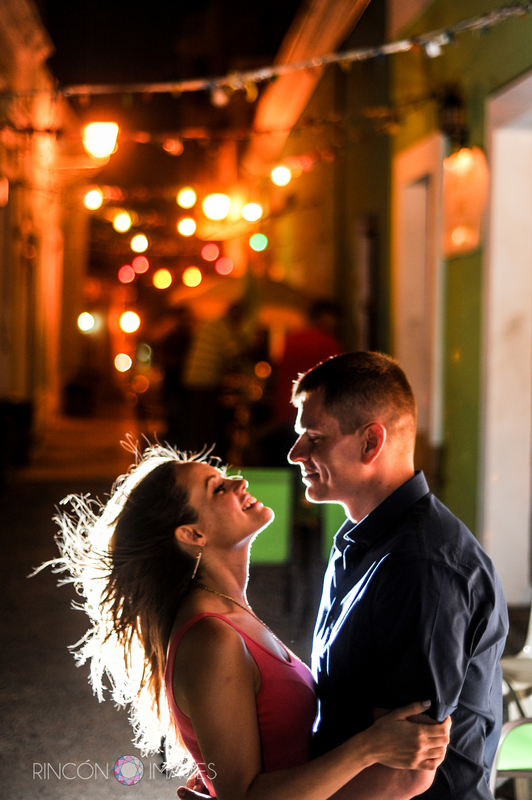 Gorgeous photograph of the couple in Viejo San Juan, Puerto Rico. The cobble stone streets and shoes look beautiful in this photograph. I absolutely loved the colorful shoes that Heather was wearing for our photography session in San Juan, Puerto Rico. The tropical colors looked fabulous next to the cobble stone streets. It really is all about the details! I love using this banyan tree in photographs. It is a great location right on Paseo de la Princesa. The tall tree provides lots of shade to keep things cool, and the long branches make beautiful patterns of light on the ground. Its a great spot for wedding and engagement photography in San Juan, Puerto Rico. This photograph was taken right in front of the red doors on Paseo de la Princesa in Viejo San Juan, Puerto Rico. This kind of architectural detailing is iconic of Viejo San Juan, and is perfect for wedding and engagement photography sessions. Natural light can really make for fabulous photographs. Knowing where to be at what time of day is what made the beautiful light in this photograph possible. I love photographing new locations, but getting to know a particular area makes it really easy to nail certain shots. How did he ‘pop’ the question? definitely surprised and not expecting it at all! I love using natural elements when doing wedding photography. 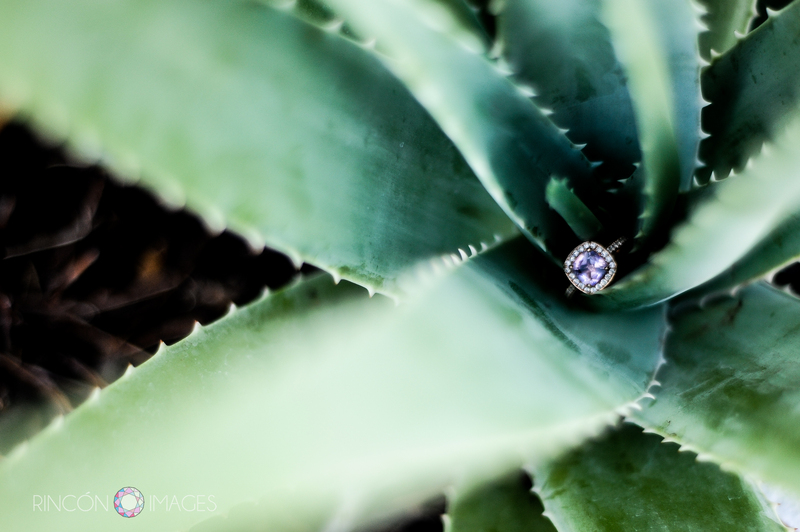 The rich lush green color of this aloe plant really makes the purple hues in the amethyst ring pop. I love the photograph I took of your ring, can you tell me what its made of and where it came from? in Austin for making my dream ring come true! I love using a lens flare in this kind of location, it really adds to the romantic sunset mood. This particular location in Viejo San Juan, Puerto Rico is on Calle Norzagary. My off camera flash made this moody El Morro photograph possible. Having a variety of techniques and a selection of photography equipment makes it easy to have fun at any location any time of day. What are you most excited about when you think of spending the rest of your life with your partner? world that need a stable home! And we are excited for more traveling together! This was the last spot we stopped during Heather and Jerods engagement photography session. I’m so happy they were up for just a few more photographs. When the sun goes down in Viejo San Juan the city lights come up and make for wonderful photographs. I'm always happy to chat! Caterpillar in the garden. Nature photography in Puerto Rico.